No matter who you are or what your feelings on chickens may be, spending 10 minutes with Foo (and Finn) would easily convince you that chickens are the best creatures on the planet. No matter who visited, Foo was not shy. Foo would run right up and see if you had any treats, making happy chicken noises. These two chickens Foo and Finn were almost impossible to tell apart. Foo had a comb that stood up straight, Finn has a little floppy part at the back. Here Foo is the chicken standing up, Finn is looking for a treat on the ground. These two were partners in crime, often taking Dark Comb along for the ride. Will I ever be able to see Finn without thinking of Foo? Probably not. I still see Red Comb and Purple Comb when I look at Dark Comb. In some ways that will be a great thing because I loved Foo, and in some ways that will be a constant sad moment. Foo loved all treats equally for the most part however greatly and very noisily enjoyed lactose free yoghurt time, splashing yoghurt all over the other chickens if at all possible. Foo was such a happy and joyful chicken who should have lived a long treat filled lifetime in my yard, which makes this loss all the harder to accept. Kitty has so far survived the night, they did x-rays and nothing is broken that they can see, but the expert chicken vet will be looking at them today and may call us if she sees anything of concern. We gave her medication to her this morning which was way more difficult than it sounds, we have some hope but given past experiences with unwell chickens I do not want to get my hopes up. 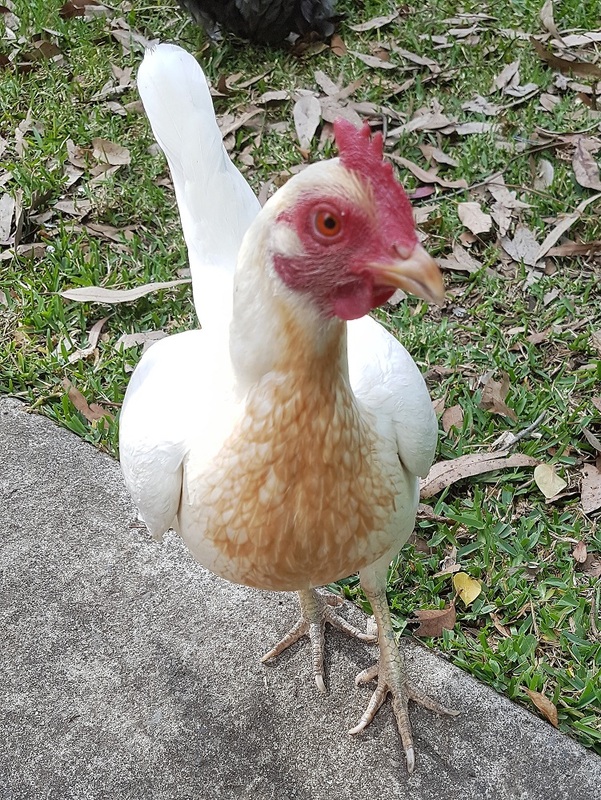 She is another chicken with a lovely personality, so calm and chill and very friendly to humans. Our trap was baited last night, nothing was caught. We did not sleep especially well. 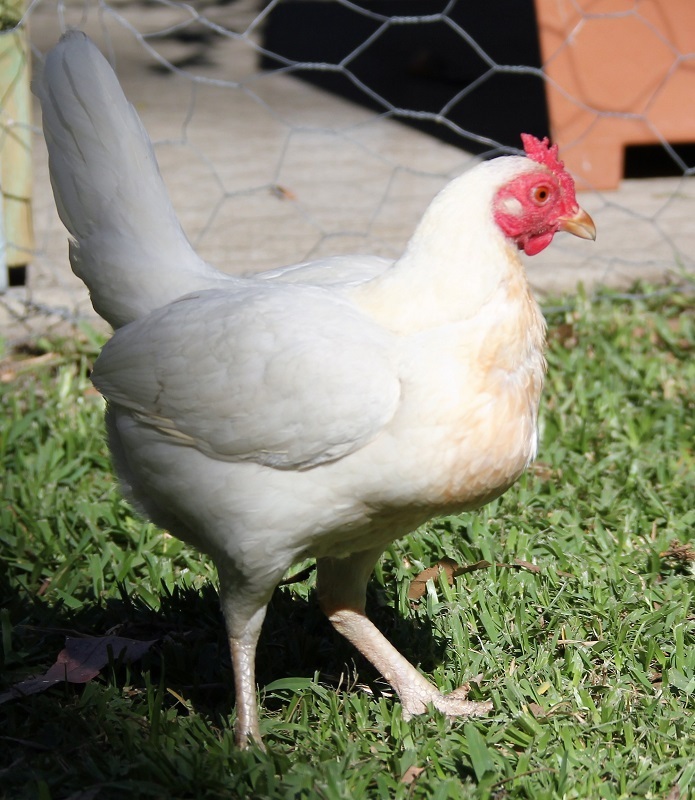 I won’t say what I normally say when we lose a chicken in this post, because at this moment there are only three chickens in the yard – Kitty is in the sick tent in the spare bedroom. Please keep a good thought for her, that she might be able to return to the flock. I read this post, then the previous one. I’m so sorry about your chickens but I’m wondering why you don’t lock them in at night anyway, instead of leaving them vulnerable. I hope Kitty makes it. River, they are locked in at night. We’ve kept chickens since 2011 without any fox visits. The outer enclosure was secure, and has been for some years now, ever since we installed the chicken wire overhead to protect them from hawks. We believed they were safe here, we are in a fairly urban area here, it is very rare to see foxes where we live. What we discovered is that the tree at the very back of the enclosure grew in a direction that pulled the chicken wire away from the back fence, leaving a small hole which the fox made larger. It certainly left some fur behind, so I imagine it squeezed itself through. The reason we did not lock them in the coop in the past is because we used UV suntuf on the roof, so the chooks wake up when the sun comes up, and they like to head out and catch the early bugs. We certainly are locking them in now, but it does mean they miss at least an hour of foraging at the start and the end of each day. We may have to install iron on the roof, because if they think it is daylight they think they should be outside, and they complain quite loudly if they are not. 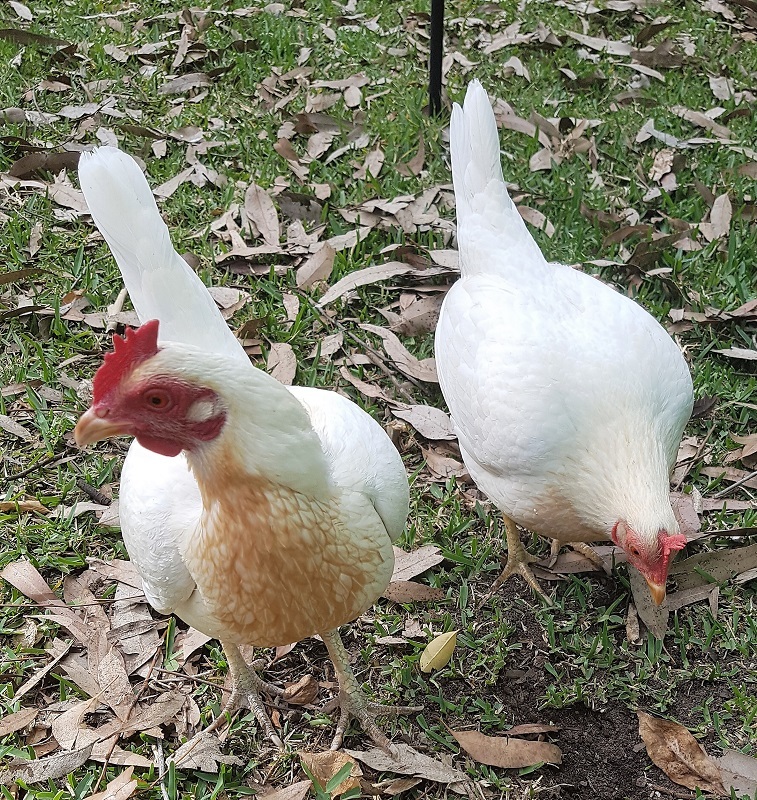 If you read any other chicken blogs you would soon discover that no matter how foxproof you try to make your enclosure, they are sly creatures who can even bite through chicken wire. The local council has recently released more of that rabbit virus, there are less rabbits around for the foxes to eat, that and the drought is driving them into places they don’t normally go. Of course, they did not bother to let people know about that, it was only on speaking with them today that I found that out. We have been planning an enclosure upgrade for some time but due to finances and the need to install some serious drainage along the fence which is going to be $$$, we kept putting it off. Thanks to you I have a better appreciation for chickens. Keeping a good thought for you and for Foo! You have lost another chook! I hope Kitty will be ok, at least. My brother has a chook called Thelma. He loves her. She is 4 and 1/2. I wonder how long they live. Chickens are not really built for a long life, Andrew, things tend to go wrong on their insides, but according to the web the oldest chicken was 16 years old when it died. Our oldest girl now is Dark Comb – we are not sure how old she was when we got her in June 2011 but we believe she was 6-12 months old then. I remain hopeful because you make sure your chickens get great care. No matter what, they have been dearly loved and treated very well, so that may bring some consolation.